Whether it is Christmas Eve ,Christmas Day or any public holidays, it is indeed a perfect day for Christians and non-Christians to celebrate this joyous festive season with array of delicious dinner recipes that we hardly had at home. The chef of the house has the most stress of the day, figuring out what to serve for Christmas dinner, trying different recipes every year. Very stressful indeed! Cooking for big family and small family require different dinner menu ideas to satisfy hungry guests and family members. There is no time to marinate chicken, beef or pork overnight or wait several hours for the stuffed turkey to cook on Christmas Day. If you haven't decide what to cook for dinner, try this stress free BBQ Dinner Recipe Ideas for a change? You don't have to dirty your kitchen, pile up pots and pans in the kitchen sink or rushing thru and fro to get something from the fridge like a zombie. Try these non-stressful dinner recipe ideas to enjoy with your love ones and chill out! You really really NEED this! This is what I wanted for Christmas, an all in one oven that gives me the convenience to toast bread, bake cakes and pizzas, grill and roast meats of my choice like the restaurant rotisserie. I like the user friendly knob and temperature setting that gives accurate baking time for each of my meals. The inner space was big enough to put in 2 large pizzas and muffin tray that my old oven couldn't fit in. 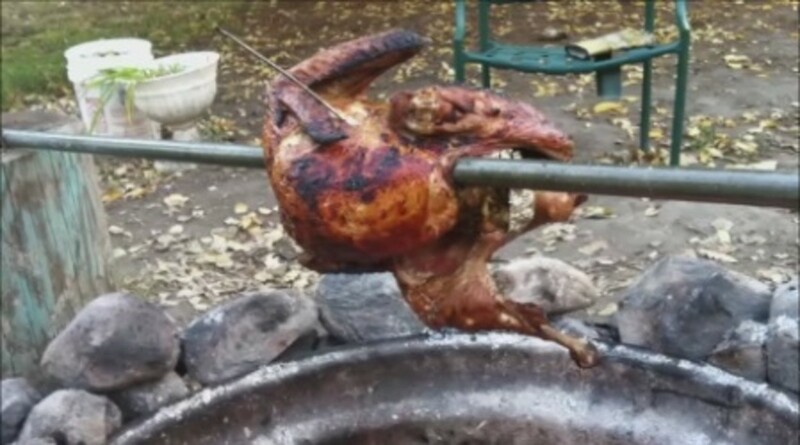 The rotisserie skewer was solid, sturdy and the pans were easy to clean, no scrubbing needed. 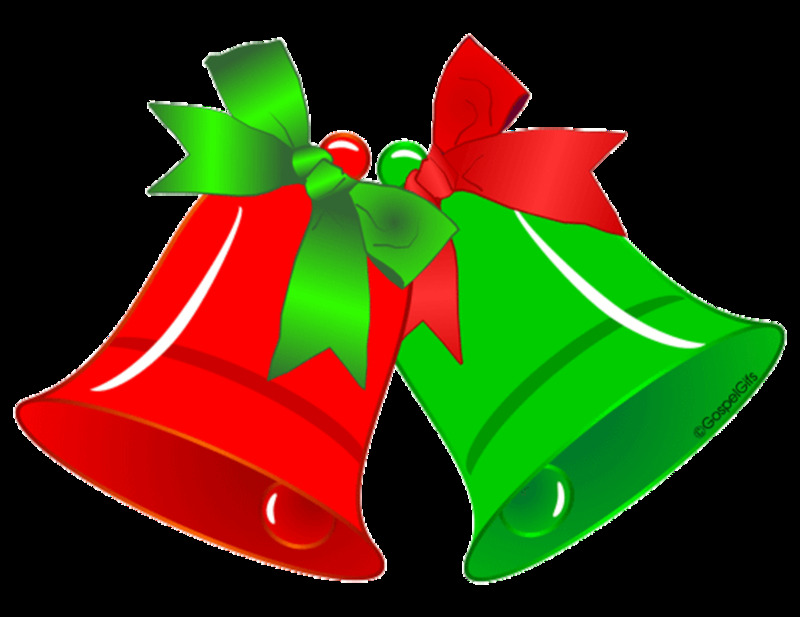 It doesn't make any irritating noises that my old oven did and gave a "ting" ringing bell when it is done. In the past, BBQ is usually done put door, a big and messy chore for the chef of the house. The smoke, heat and profuse sweating are simply irritating and annoying that could put anyone off the idea of BBQ party. Now, with modern technology and electrical kitchen appliances, you can BBQ chicken, pork, beef or lamb at ease at the comfort of your indoor home without any sweat. Air fryer, oven with grills and microwave oven are some easy to use kitchen appliances that helps you to cook your Christmas dinner meals without stress. All you have to do is marinate the meats of your choice, put them onto the baking tray or grill and set the timer, temperature of your choice and wait. You can see the status of your meat being cooked through the glass door of your kitchen appliances without stress, fear that the meats might get burned or charred. Furthermore, BBQ recipes are easy to prepare, just get ready all the seasoning ingredients, blend them well and marinate the meats for 30 minutes or overnight. Grill or roast the meats without worries in the oven, microwave oven or air fryer at your convenience with the touch of buttons. No more gathering charcoals, woods, BBQ grills and stands, handheld fans and choking through the smoke that makes your eyes water. How often have you try BBQ dinner at home? I don't own an oven! I had bought countless of plastic handle potato peeler that goes rusty even though it was stated "Stainless Steel"
Fed up with the cheapskate peeler, I bought this Uberchef peeler which proved to be the best and doesn't rust at all. The handle is sturdy, the blades are super sharp, so be careful not to put the peeler in the drawer where you mess with the fork and spoons. Might cut your fingers. Better hang the peeler after wash with the loop of the handle. The peeler peels the skin of potatoes, finely, clean cuts and no teeth marks. Preheat oven to 220C/ 400F. Put the olive oil on baking tray and heat up in oven. 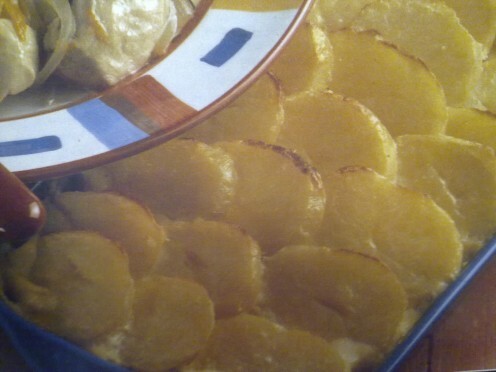 Use a knife to make criss cross marks on the peeled mini potatoes. However, make sure they are not cut right through. Make some incisions on the beef and insert the slices of garlic into them. Sprinkle black pepper powder over the beef and season with salt. Place the seasoned beef on the roasting pan. In addition, place the mini potatoes beside the beef. Roast them in oven for 20 minutes. 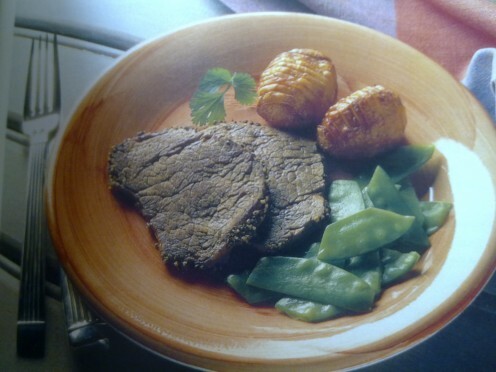 Turn over the uncooked side of the beef and potatoes, continue to roast them. Keep flipping them over and over again to make sure the beef and potatoes are well cooked. It might take approximately 30-45 to cook thoroughly. carve the beef into thin slices before serving. Place one mini roasted potato and boiled snowpeas / broccoli, cauliflower for each plate. If you can't find any of those dry ingredients in store, you can't find Cajun seasoning either in the supermarket. I did try to hunt down all the grocery stores, supermarket but don't find any. Finally found it online McCormick Cajun Seasoning, the perfect all in one seasoning for any meat recipes. It came as the picture had shown and was prompt at delivery. It isn't so spicy, which suited well for my kids and my whole family. Add in a few dashes over the chicken fillet and grilled the chicken which turned out just nice, not much charred meat. Taste great, no MSG and perfect, just like fast food restaurant food. In a mixing bow, pour in all the spice ingredients, except chicken and olive oil. Cut the chicken fillet into convenient pieces and pour olive oil over. Mix in the Cajun mixture ( spice ) over the chicken pieces and make sure all are well coated. Grill in oven at 180C for 30-45 minutes. It is alright if the chicken top part are charred. Flip over the uncooked side at alternate times. Cajun is a French seasoning that is not really spicy. It is a combination of chopped onions and highly usage of spice ingredients such as paprika, mustard seed, thyme, cayenne pepper, parsley and green onions. All these ingredients are well blended and stuffed into meats to grilled/baked. More like turkey stuffing. What type of seasoning do you add over your chicken dishes? Throw in all the ingredients except beef and oil into a food processor. Blend all ingredients together until it turn into soft paste. Marinate the blended ingredients over the beef fillets for 30min. USe a wooden skewer to poke through the beef fillets. Keep turning the beef to make sure both sides are well cooked. Pork Belly in Dark Soy Sauce is a heavenly Chinese cuisine for meat lovers. There are 2 variations; Hainanese and Hokkien style of braised pork belly cooked in soy sauce. Easy and tasty recipe. Turkey recipes are easy and quick to prepare for any occasion or normal dinner days. Baked Golden Topped Turkey and Hampie is a combination of cooked ham, turkey, sliced pototoes, easy as a pie! Hi peachpurple, Who doesn't like barbecue foods? I know my family loves it. You have so many great recipes here, I'll have to try them. These sound like some recipes that my family will enjoy. I like to cook up dishes and deliver them and I know these will be a hit. All your recipes look so good. My husband always used the grill on our deck he loved doing that and he always seasoned with seasoned salt his go to season. 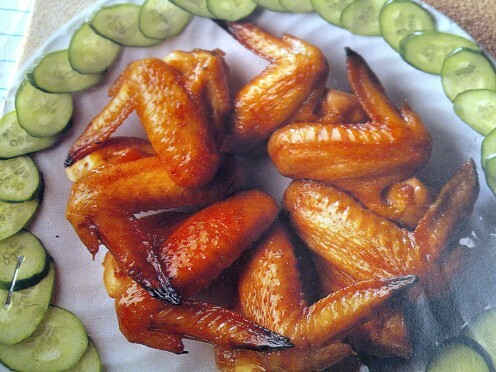 The chicken wings look great. Your holiday meal looks delicious. I like the cucumber combined with the meat. I have not seen that display before. Looks very refreshing. What a great mixture of BBQ meals you have here and very handy! I am just getting into BBQ cooking so I will be trying out a lot of your recipes, especially the Chicken ! Now I'm starving! Great recipes. Very easy and love your recipes! Living in Australia, we often have BBQ for Christmas as we're sweating away in 40 degree celsius heat! The chicken wings are particularly good, especially when you pair them with potato salad, Greek salad and egg salad. Voted useful! oh gosh, you are so kind, i am blushing! This sounds like something that will be a hit any time. They sound as though they are bursting with flavor.. My daughter and her 'crowd' will love these. You sound as though you could be a winner on many of those Top Chef shows. Your recipes sound so tasty! Your photos are wonderful. You obviously know your way around a kitchen!!! All of your recipes sound good but that last one just about has me drooling! 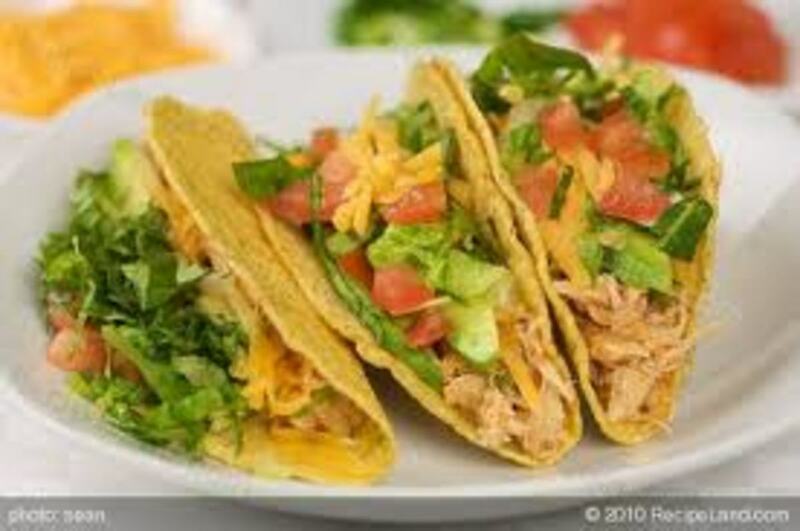 These pictures make me hungry! I love all the different spices you use. I love spices! thanks, BBQ should warm you guys up. Pretty cold over there? Sounds absolutely yummy! all of it! lol! whether it be winter or summer, you can't go wrong with these, nice one! BBQ in the middle of winter...yum, bring it on. The beef with lemongrass and coriander really float my boat. Great tips. Looks great and sounds so good, my hubby use to love to grill. Awesome! I like these recipes and you made it all sound so simple. Thank you for the helpful suggestions. Still good even if it is not Christmas anymore, thanks for sharing your hub. This sounds like a delicious and simple dinner! I own a similar oven but have never used the rotisserie feature. I hadn´t thought of using the grill to char meat, either, so I need to try out those features! Thank you for sharing the information on the heavy duty potato peeler. I could eat that for dinner everyday..! great hub .. many tips... you are a special woman indeed.. glad to find your hubs... I will be getting fat soon with all these great recipes.... happy new year to you and your family.. These recipes sound good, as does the new cooking appliance! That is a great idea also. Would love to try them. Happy New Year to you and yours! thanks, yeah great for all holidays, how about deepavali? All these Chicken recipes are awesome and I am glad I found this hub just in time for New Year Eve party. Thanks for sharing the details. Voted up and pinned! Wish you a very Happy and Prosperous New Year! 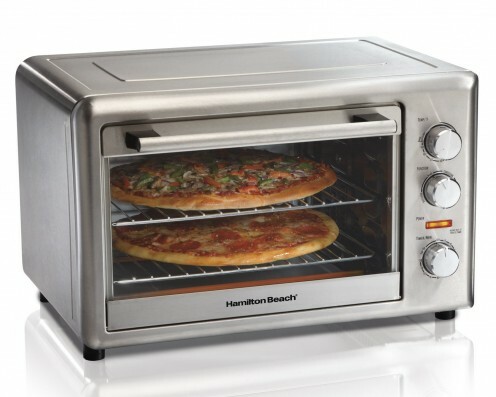 1) I am in the market for "the best" countertop oven to use next year. 2) I didn't know what I wanted to make for New Year's Day, only what I didn't want. Now I know what I want--BBQ, and it has to be the good stuff. 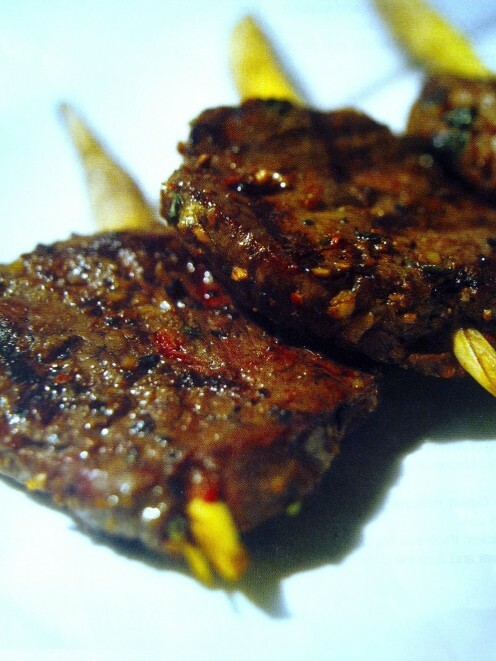 3) I'm certain that your extra recipe for lemongrass beef will be a big hit. thanks, baked chicken are perfect for any occasion. How often do you bake chicken? I love chicken barbecue and spicy baked chicken. Thanks for sharing the recipe. Good night! 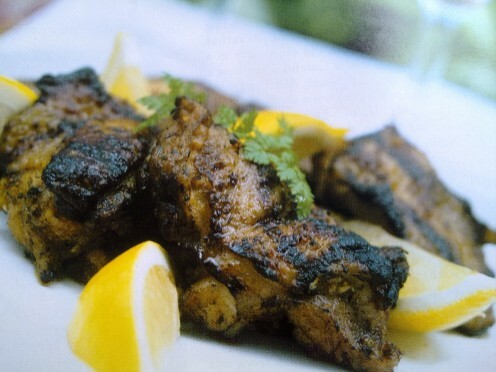 That lemongrass beef looks really good! Your bbq chicken looks tempting. Some of the ingredients are not available in our place. LOL! Come and get it! We love BBQ at my house! My husband likes the spicy and original BBQ, while I veer more toward the hickory flavored and maple and brown sugar variety. Cajun BBQ Chicken looks mouth watering. Feel like grabbing and eating it. hi susan, glad to see you here and thanks for your votes, are you still at bubblews? Wow... Amazing collection of awesome recipes. Thanks for sharing. Voted up. Um, looks too good. I bet it is all tasty as well. Thank you peachpurple!